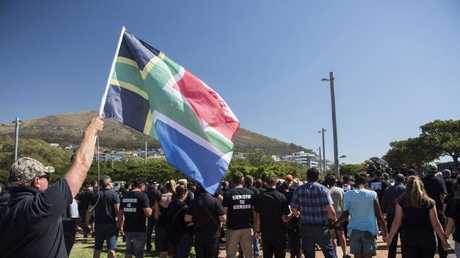 IT'S an issue that has led to fears of chaos ravaging South Africa, with Australia even offering to fast-track humanitarian visas for persecuted white farmers. But the incendiary issue of land reform is as vast and complex as South Africa itself. So complex that the final two words in the nation's anthem - "our land" - show how sensitive it is. 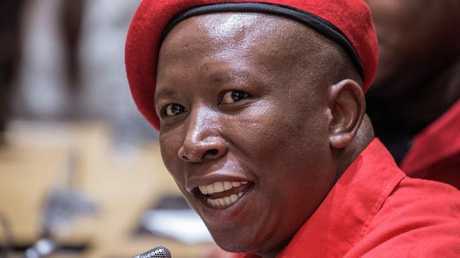 The issue raised its head again in South Africa in February this year, when Julius Malema, the ever-controversial leader of the radical political party Economic Freedom Fighters, tabled a motion in parliament to allow the seizing of land without compensation. Debates immediately broke out among politicians, members of the media and ordinary citizens, on the internet, on radio and television stations, and in offices and backyards throughout the country. Land ownership, land reform, land redistribution and land restitution - these are vast, complex issues, as vast and complex as South Africa itself. If you truly want to understand why the mere mention of "land reform" is like a spark to kindling, you must take a look at the history of this beautiful and tormented land. Ever since the Dutch colonialist Jan van Riebeeck first set his clogs on the shores of southern Africa in 1652, the issue of land ownership has been a cause of conflict - a stark, tense thread running throughout the tapestry of South Africa's history. Van Riebeeck, an employee of the VOC (Dutch East India Company), was sent to the Cape to establish a refreshment station for passing VOC ships. The Dutch settlement was immediately at odds with locals: the pastoral Khoikhoi, and later the foraging San. Through impositions of Western-style bureaucracy by the Dutch and a series of wars, the Europeans gained control of large swathes of fertile Cape land. The arrival of the British in 1795, followed 25 years later by the first of the 1820 Settlers, only worsened the situation as the 4000 mainly artisanal British workers were granted land for farms in the Eastern Cape. South African opposition party Economic Freedom Fighters (EFF) leader Julius Malema. 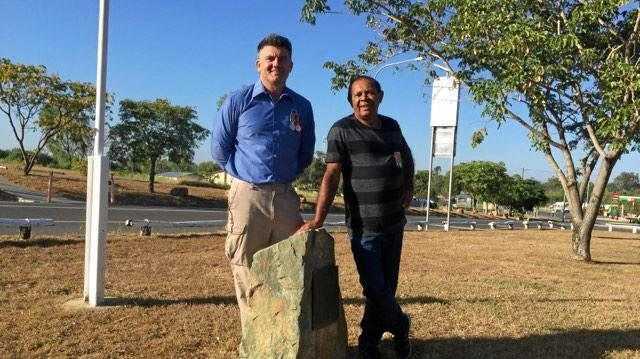 The intention was for them to act as a buffer zone between the eastern border of the British colony and the local Xhosa population. Naturally, this led to warfare - over land. As the British population increased and the colonial government imposed laws that the now-homegrown population of Dutch-descended farmers did not particularly like, a series of journeys inland, known as treks, began to take place. This movement of around 14,000 Boer (farmer) families between 1835 and 1846 is known as the Great Trek (we like the names of things to mean what they say). As these thousands of people moved into the interior, they inevitably came into contact with the local people: Ndebele, Xhosa, Zulu, Sotho, Pedi. Although some of these encounters were peaceful, fighting was most often the result. Then in 1852 and 1854, the independent Boer countries of the South African Republic and the Orange Free State were, respectively, agreed to by the British, who were feeling satisfied that the Boers were now too far to bother with and that their land had nothing they wanted anyway. That is, until the discovery of diamonds and gold, which brought the British back in a hurry. After - you guessed it - more warfare, the British finally triumphed in the second South African War (1899-1902, also known as the Boer War) and established the Union of South Africa in 1910. And what about the indigenous population during this time? Although they did achieve victory in some battles with the Europeans, they were ultimately overwhelmed by more advanced military technology and ruthless bureaucracy. A protester waves a flag during a demonstration by South African farmers and farm workers at the Green Point stadium to protest against farmer murders in the country. The most severe insult yet came with the passing of the Natives Land Act in 1913, which restricted black property ownership to just 7 per cent of the land of South Africa. Although this amount was later increased to 13 per cent, the land black people were allowed to own was restricted to rural "native reserves". Under the Apartheid regime, the Group Areas Act of 1950 brought the system of apartheid (literally "separateness") to urban areas: assigning the different racial groups to different residential and business zones. If black people had to work in the white areas (and, let's face it, of course they did), they had to carry a pass, identifying themselves and their employer. This worked out well for the ruling whites, as they got all the benefits of black labour without any of the annoying business of having to provide services or infrastructure for them. A devastating consequence of the Group Areas Act were the forced removals of black populations from areas that had been designated "white", such as District Six in Cape Town and Sophiatown in Johannesburg. Iconic images of graffiti reading "WE WONT MOVE" (sic) and black and white photographs of razed buildings and people being borne away on the backs of trucks, clutching all their worldly possessions, bear testament to those times. This legacy of apartheid, to use a well-worn phrase, is clearly visible in towns and cities throughout South Africa. Spend any time driving around and you will notice the stark differences between areas - no longer regulated by race, but by income, which, as a result of the racial policies which divided South Africa for so long, has largely been determined by race in terms of historical access to resources. "White privilege" is a real thing. In the new democratic dispensation, to use another well-worn phrase, the principle of land reform is provided for in the Constitution, but with important caveats: It states land may be expropriated when it is within the public interest to do so, and that the amount, time and manner of the compensation made must be "just and equitable". While the policy of the ruling African National Congress (ANC) has been market-driven "willing buyer, willing seller", this is not in fact part of the Constitution, and many critics, more than 20 years after the end of apartheid, agree that it has not particularly been a success. This brings us all the way up to the present. Many people tend to have a knee-jerk reaction of fear to any discussion of land reform. Images of Zimbabwe-style farm invasions - which took place 20 years ago under then-president Robert Mugabe's rule and turned the breadbasket of the southern African region into a basket case - fill people's minds with panic and impulses to flee the country. Yet most of the issues around land today have to do with access to well-located land within cities. The recent land invasions that have taken place have been in cities and towns: Pretoria, Midrand, Hermanus. People are fed up with unequal access to urban land which sees many lower-income families relegated to the outskirts of the cities, and having to spend 40 per cent of their income on unreliable public transport to get to their places of employment. Land reform is a difficult, complex topic - it touches the people of South Africa right on their heritage and identity. The 1955 Freedom Charter included the clause: "The land shall be shared among those who work it!" The final declaration of the national anthem is "South Africa - our land!" The very concept of belonging is tied to the land. When one looks at the history, it is easy to see that we have a historical wrong that urgently needs to be righted. But the best way to do that? The debate will rage on. Tarryn Harbour is a former journalist and South African resident.